Gil has a Diploma in Chinese Medicine (Dipl. CM, I.A.TCM) with distinction from Broshim College of Integrative Medicine, Tel Aviv University, where he studied both Acupuncture and Chinese Herbal Medicine. In addition, he has completed a 1-year specialty course in "Chinese & Macrobiotics Nutrition (TEF Method)" with Eyal Shpringer. Gil works in his clinic in central Tel Aviv and in "Refuot", one of the leading CAM Clinics in Israel. He also teaches "Research & Evidence in Chinese Medicine" for 3rd and 4th Year students in Broshim College where he also supervises the students' final year Research Projects. In addition, he teaches abroad in Denmark, Poland and Finland so far. Gil is part of the International Community of Chinese Medicine (ICCM) Team, leading ICCM's International Relations. He writes regularly research reviews & newsletters for Broshim, ICCM and other organizations (Facebook: drgiltcm). Recently, Gil was elected to the Executive Committee of the European TCM Association (ETCMA) as Head of Research, intending to promote education and awareness for good quality research in TCM across Europe. Before studying Chinese Medicine, Gil worked in Teva Pharmaceuticals, leading Global Marketing for the Innovative Multiple Sclerosis business. 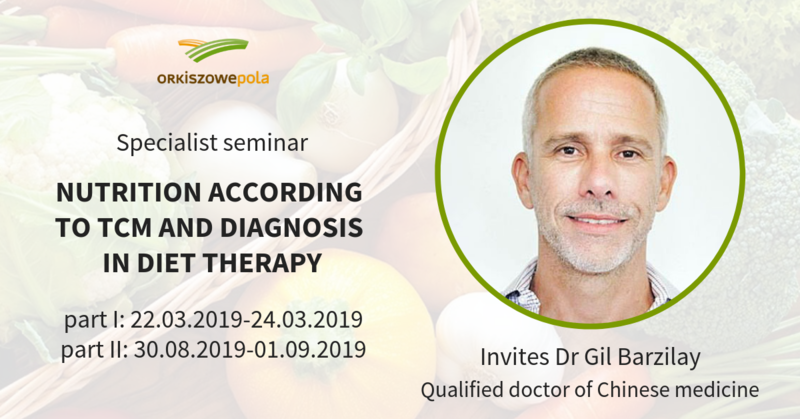 Gil has a B.Sc (Honors) from Imperial College, University of London, a Ph.D from Oxford University in Cancer Research and a European Medical Biology Organization (EMBO) Post-Doctoral fellowship at the Weizmann Institute, specializing in Cell Death (Apoptosis) research.